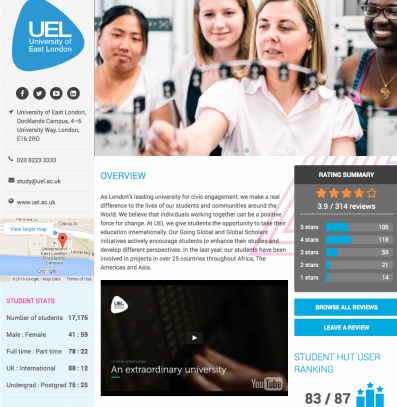 We help students find the right uni & course! 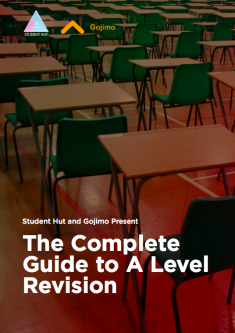 "This quiz really helped me to think about the different factors that I should be considering." 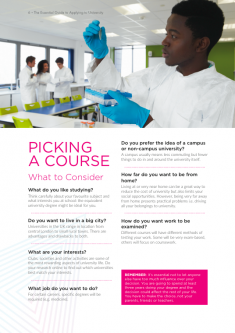 Answer questions in our Pick a Degree Quiz to narrow down the courses that match your criteria, helping you to find the perfect course and university! 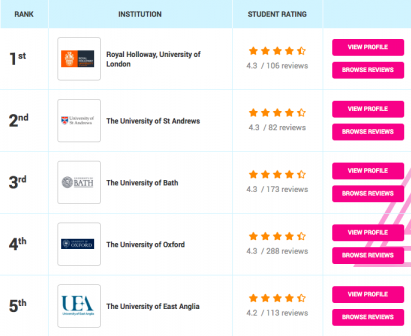 The Student Hut university league table is based purely on student opinion, created from over 30,000 student reviews and ratings. 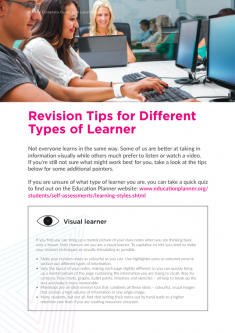 We also produce guides and resources for teachers and prospective students packed with useful tips and advice. 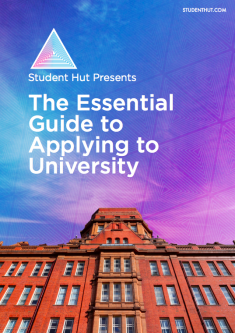 Copy and paste the URL: https://www.studenthut.com/schools and share by email, to your school network, website or wherever you please!